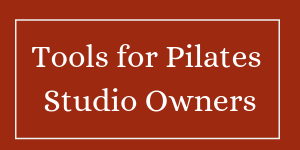 I am addicted to Pilates, and I love assisting Pilates studio owners with their social media marketing needs. I love it when Pilates Studio Owners say they don’t know what they’d blog about – because I can rattle off 10 subjects in a few seconds! I also know how social media can be a bit all consuming — and take a lot more time in a day than you want it to take. Consistency is the key to growing a large social media following, and my business, Farm Girl Marketing Solutions, specializes in providing social media posts that reflects your personality and your business on Facebook, Twitter, Instagram and LinkedIn. For more information, set up a complimentary consultation with me! I would love to talk about what we could achieve by partnering! Previous Post: « Thursday Tech Tip – Take pictures quickly!